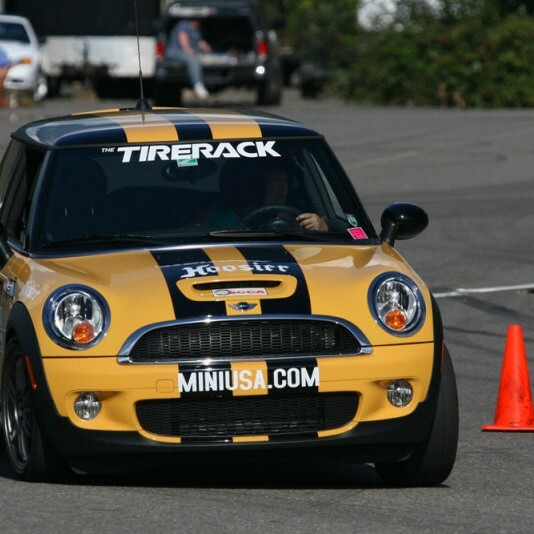 Just wanted to share that my 2006 MINI Cooper S took 2nd in class for the 2010 Kitsap Kup season which ended last weekend. The season consisted of 1 event each month for the past 8 months. In the closely contested season I finished a close second to a well driven VW Golf. I took 1st at 3 events and the VW took 1st at 3 events. Anyway, wanted to share that our little cars can be quite competetive on the Auto-X course. Way to go Martin. I bet that was a lot of fun too. And I do know that MINI's can be quite competitive. 5 race wins, 2 in the rain. 2nd in ICSCC G Production Championship 2005 and 2006. Now I'm just gonna drive the MINI. I wish there was a local MINI Dealership, like our Honda, Subaru, Mazada and VW. Will do. I will pull out the big guns. He beat me with R-comp tires..I was on streets. Congrats! I hope to be out there next year. I actually signed up for my first auto-x on Oct 24(Sanderson Field - will any of you be there?) but the wife might nix it... We shall see. MC2 did not know about the Racinmason group so I passed the info on to them. I hope they research and do a promotional spot for that track effort. This side of the Sound could use a decent road course! Thanks for passing it on Stephen...would be great to add another track in the area. Especially since Bremerton Speedway may be gone before long. Kitsap County/Bainbridge has way to many people who seem to be diametrically opposed. They either want racing (usually the round tracks stuff) or want to see nothing but trees, to and including planting trees to block their neighbors views! Political insanity . Possibly Mason County has a better grasp of reality.